Secret Diary of a Stay-at-home Mum: Free Smells? Have you seen those "free smells" signs at cookie shops? I know they have it at most Famous Amos outlets, and I hate them! Why? Because they cheat people into thinking those smells are free when they are not!! My children, after getting all those free smells, will insist that I buy the expensive cookies that emit those smells. And mind you they are not cheap. A 3 inch diameter soft bake cookie costs S$2.30!! With 3 kids, it would cost me more than $6!! With a cost of $6, I can bake more than a dozen of those cookies! So if you think those smells are free, think again. They actually cost more than you think. 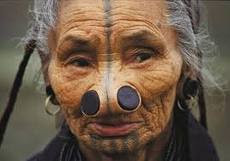 I wish they sold nose plugs like these: so that I can make my kids wear them every time we go by one of those cookies shops, then we would save a ton!! So does anyone know where I can get them? Forgive your gluttons lah. I envy how kids' satisfaction work. Simple things like cookies can make them happy. I'm sure they appreciate homemade ones too you know. I wonder how the auntie breathes. That's why I try to have my kids with me when I do my shopping. Everything ado they want! hey try the almost amos cookie on my foodblog when you have time. it's quite good but rememeber to get good quailty nuts and choc chips (semi sweet hersheys are better than most. ).